Charge Shot!!! : Would you like your MMO with a side of Torture? Would you like your MMO with a side of Torture? 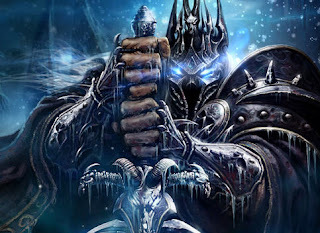 Apparently, World of Warcraft's recent expansion Wrath of the Lich King includes a quest called "The Art of Persuasion" in which you are called upon to torture a sorcerer for information. Suffice to say, the Internet's ablaze. Richard Bartle has since exploded, claiming that the mission breaks game canon by asking an Alliance (or inherently good-natured character) to torture someone for information. In response to the myriad of comments he received, he argues that this represents a "breaking of the covenant between designer and player." Players signed on for a certain type of fiction (i.e. fireballs and night elf mohawks) and were given something quite different. I'm not sure I agree with Bartle on all of his points. But his argument raises a debate I hadn't considered: how much can/should MMOs change during their lifespan? Let's say Blizzard is making a statement on torture (which Bartle argues they aren't), how does a perpetual gaming experience enter into the "games as art" debate? Since non-MMOs are singular experiences (Halo 2 will always end poorly, 24: The Game will never become entertaining), this "breaking of the covenant" is impossible in any genre other than the MMO. Should developers really be chastised for exploring an opportunity unique to their medium? Clive Thompson doesn't think so. Well, Thompson isn't really talking about upending the gamer's expectations, but he does make an intriguing argument for the further development of things like torture in video games. As he puts it, "Games are excellent vehicles for helping people inhabit complex, difficult situations. They're also extremely good at illustrating consequences: If you do X, then Z and L will happen; if you do Y instead, then C and Q result." He cites BioShock and Fable as games that successfully show consequences for heinous actions. I'm referencing Thompson's post mainly because he provides a number of fantastic possible answers to questions this whole debate is causing me to ask. What could a developer do in a persistent game like WoW to explore the ramifications of torture? He suggests that NPCs could become more hostile to you or people you'd prefer to interact with would become fearful of you, thereby closing off quest or loot options. Too bad WoW is too mammoth an operation already, or someone might actually explore this stuff. As Thompson said, games are unique in that they actually give people things to do. Passive media like movies and TV (even *gasp* books) can only ask me to question what I'm seeing. Theoretically, I can watch an episode of 24 and make up my mind on torture, but at the end of the day I'm rooting for Jack. Games, by nature, give players choices. These choices are made in what is hopefully a vacuum with no actual connection to reality. It is in this vacuum that games can do more than just teach things. They can actually allow us to test behaviors and develop opinions on them without impacting the real world. Step one: Let me know it's a game. Step two: Give me a difficult choice to make. Step three: Give me meaningful in-game consequences. Step four: Hopefully I learn something.